Lloyd & Dinning, L.L.C. was established 65 years ago and today continues the tradition of providing professional and ethical legal representation you can trust. We can help you with all types of general civil litigation in state and federal courts, including personal injury claims. Probate follows what is typically a painful emotional loss. The knowledgeable, meticulous probate attorneys at Lloyd & Dinning, L.L.C. have experience in probate law and know how to ease the stress of probate by guiding executors and beneficiaries. The process of probate: Most executors have rarely if ever probated a will and know little about the process. The attorneys at Lloyd & Dinning, L.L.C. can guide you through the complex probate process, including: -Filing the will with the Alabama probate court -Developing the best strategy for fairly and expeditiously probating the estate -Finding and collecting assets -Closing and opening bank accounts -Transferring assets from the deceased to the estate -Paying estate taxes -Valuing, managing, preserving and liquidating the estate -Locating beneficiaries -Hiring experts, when appropriate Valuing and managing the estate: Our attorneys assist executors with the arduous process of collecting, managing, valuing, protecting and liquidating the assets of the estate. Lloyd & Dinning, L.L.C. has a team of experts available to assist in every aspect of estate probate. When appropriate, the firm calls upon accountants, financial advisers, real estate agents, property managers and other professionals to assist with executor duties. We can access expert opinions about unique assets such as antiques, rare books, automobiles and other collectables for accurate valuation, management and possible sale. Probate disputes: Even in apparently straightforward estate cases, there are sometimes disputes between beneficiaries. Our attorneys' professional courtroom presence can calm the emotionally-charged process of probating a challenged will or disputed executor or judicial decision. When it is in the best interests of our client to preserve cordial familial relationships, our attorneys are adept at mediating these disputes. When necessary, we assertively defend our client's beneficiary rights within the Alabama probate court. Lloyd & Dinning, L.L.C. 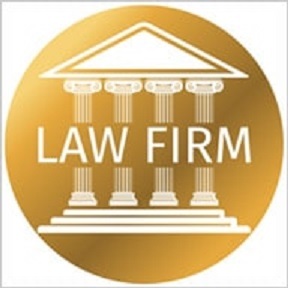 will represent your Wrongful Death legal matters. He has earned a BV Distinguished Peer Review Rated by Martindale-Hubbell listing for his professionalism and ethics.